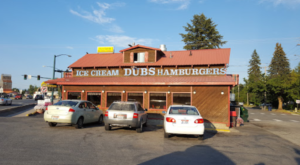 If there’s one thing Idahoans love, it’s huckleberries. 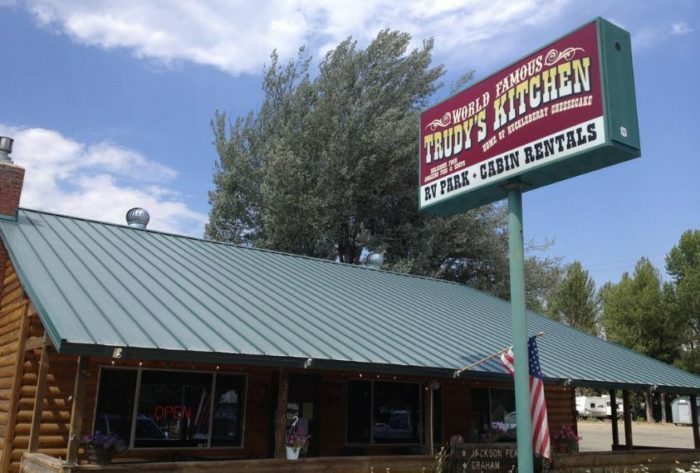 And for many, there’s only one place to grab a bucket list-worthy slice of huckleberry cheesecake in Idaho: Trudy’s Kitchen. 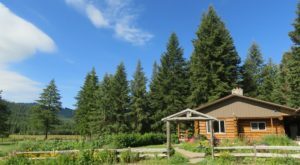 If you read our recent article about some of the best places to day trip to in Idaho, then you’ll remember Idaho City coming in at #8. 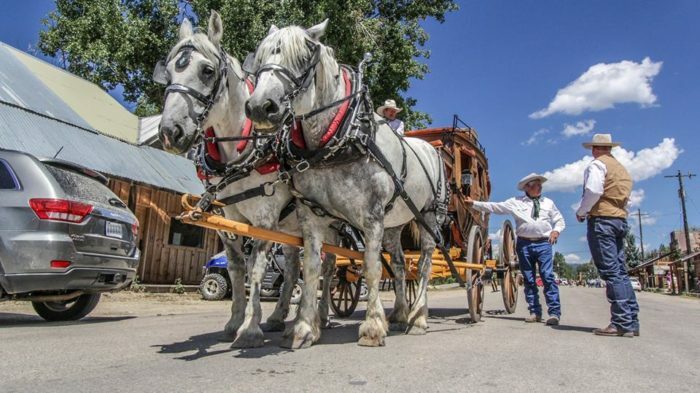 This cozy small town – just a short drive from Boise, and yet seemingly miles away from the city – is bursting at the seams with history, pioneer nostalgia, and unique Wild West charm that is straight out of an old-time Western. Not to mention the friendly community and absolutely stunning scenery! 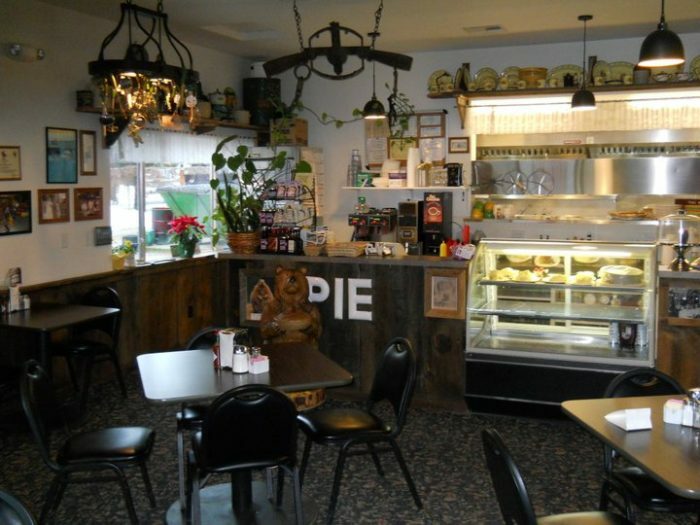 But absolutely no trip to (or through) Idaho City is complete without a slice of world-famous pie from Trudy’s Kitchen – the home of desserts so flaky, epic, and incredibly gargantuan that folks flock from miles around just to grab a taste. 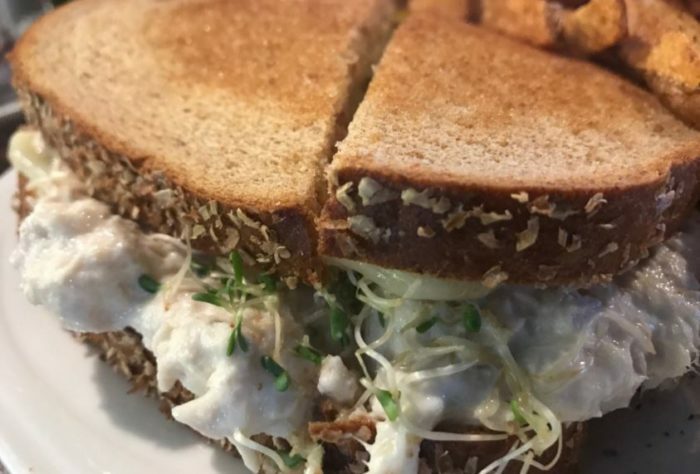 One glimpse or bite of these colossal beauties will make your heart soar, make you realize what you’ve been missing your whole life, and remind you what small town, home-baked love can really add to a meal. 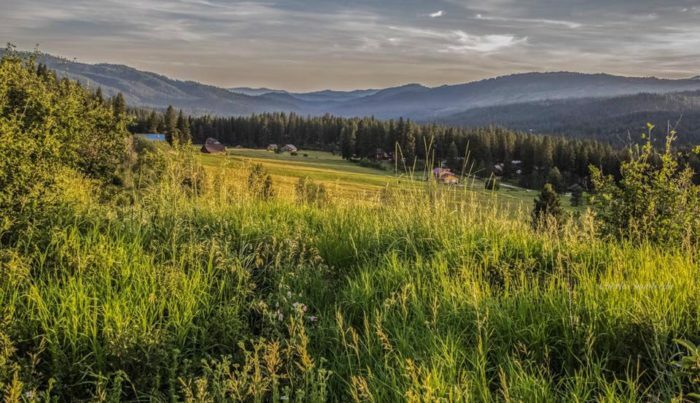 There's no denying that Idaho City is a spectacular place to escape or settle down, and for many, the drive alone is a refreshing, photo-worthy journey. 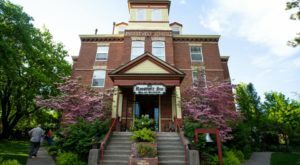 This rugged town - for all of its history and charm - is one that can only be truly experienced in person. 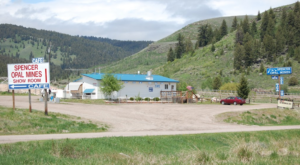 But for some passerby, Idaho City is a place to refuel an empty stomach - and a slice of Trudy Jackson's handmade pie and a cup of coffee is all a body really needs. 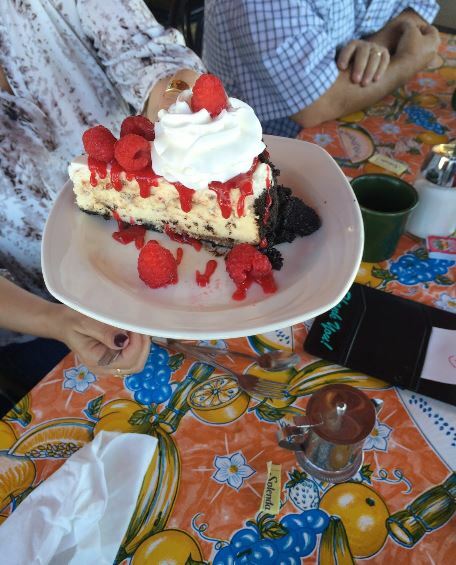 Pictured: a heavenly Raspberry-Chocolate Cheesecake, drizzled in a fresh raspberry sauce and garnished with fresh berries. Pie. And lots of it. 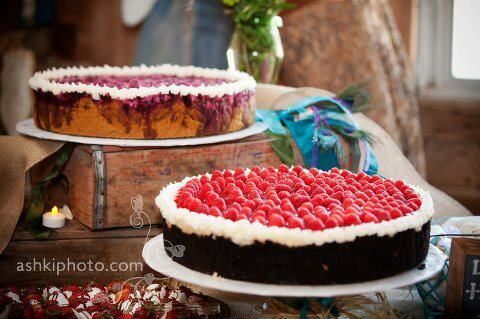 Impossibly large, delectably rich pies and cheesecakes crafted by Trudy herself, to be exact. 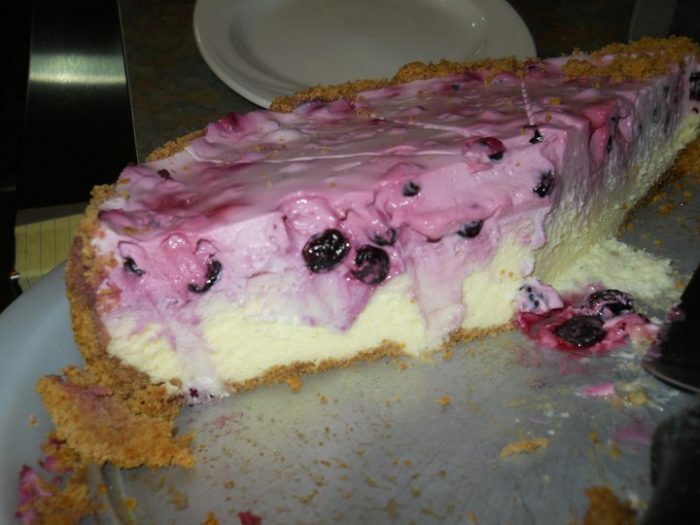 And the huckleberry cheesecake? Legendary. 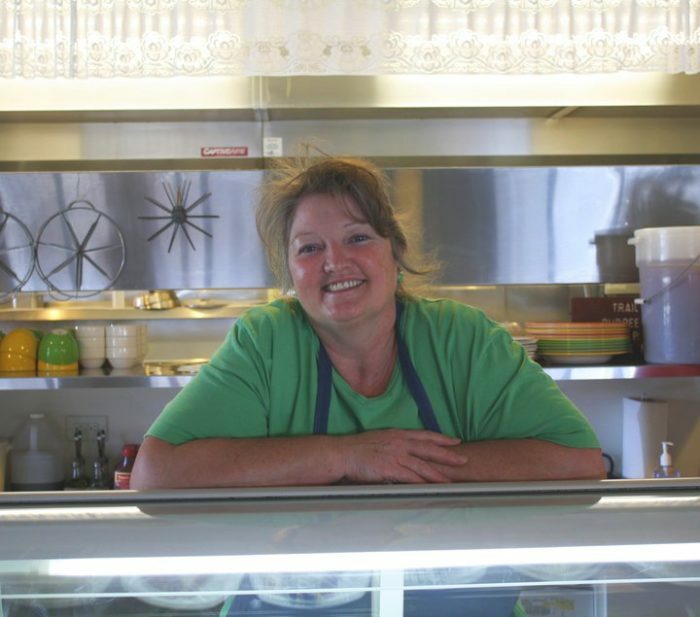 In 1997, this local gal's dream of ownering her own restaurant came true after a lifetime of baking for the family, and working in various restaurants around town. 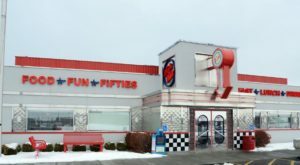 Two decades later, her small-town eatery is a cultural phenomenon, topping bucket lists and making headlines. And with slices like this, how could it not? 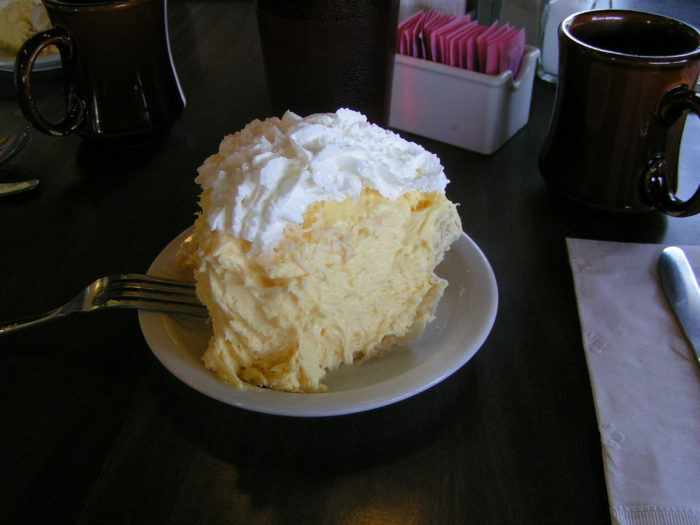 One thing that makes Trudy's pies so darn memorable - besides her secret recipes - is the sheer size. 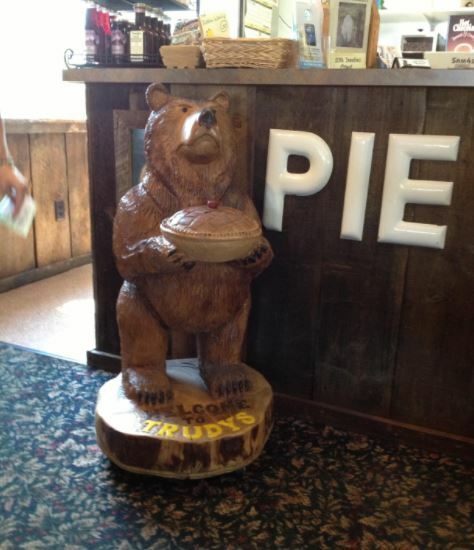 Most of Trudy's pies tower 3-6 inches above the crust! 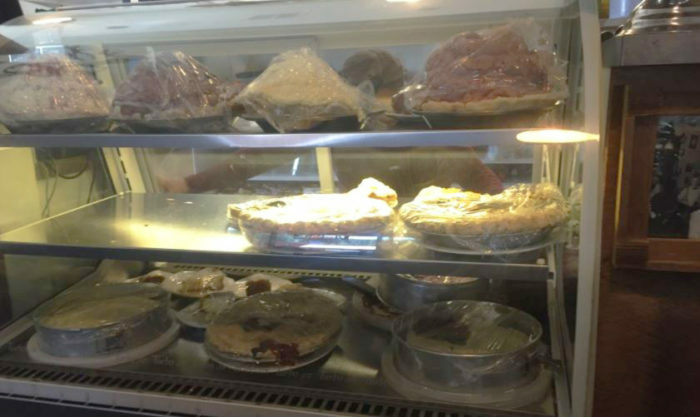 The pies are all lovingly prepared and baked right here in-house, with the cheesecake recipe being especially top-secret. Only Trudy herself knows it! 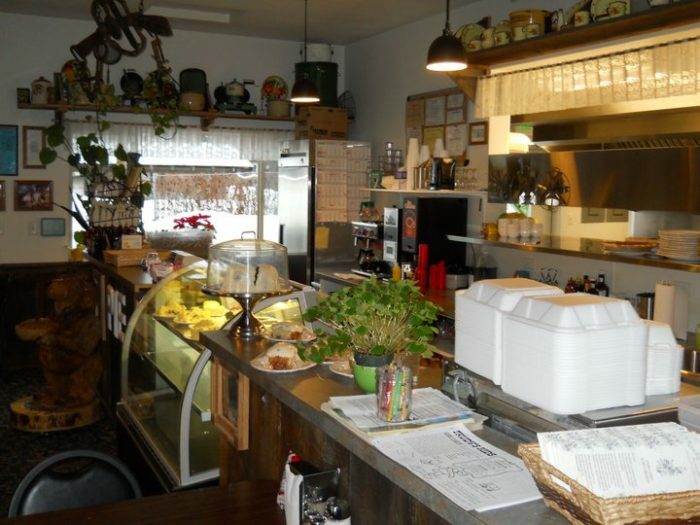 The small hometown space is accented by an eclectic array of vintage kitchen and dining items, but you can’t help but realize that everything revolves around the glass case near the register. Trudy is always coming up with new pie flavors and combinations, especially around the holidays, but a few stapled classics always remain. And the Huckleberry Cheesecake truly is the stuff that dreams are made of. The secret ingredients, besides deliciously fresh huckleberries? A lot of love and quite possibly some magic as well. Of course, pie isn't the only homemade thing served up here that's worth bragging about back home. But truly, how can you resist? 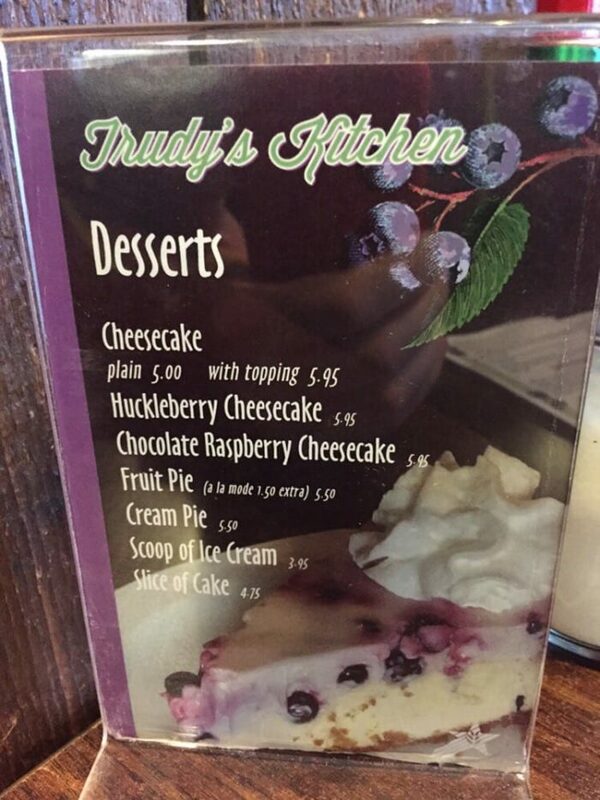 Have you ever grabbed a slice of cheesecake or pie from Trudy’s? 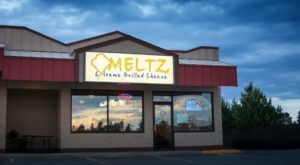 Slices of heaven, is what they are! 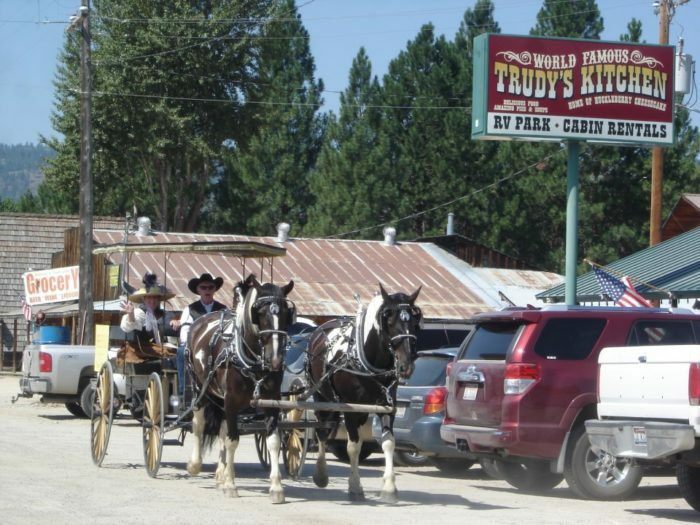 You can find Trudy’s at 3876 Highway 21, Idaho City, ID 83631. 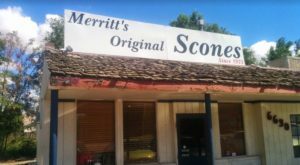 At the opposite end of the state, you might just find the best ice cream of your life, with creative flavors that will rock your world. 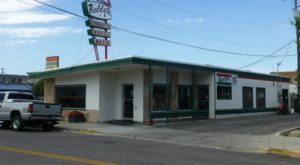 You can read all about that family-owned ice cream shop here!